Violation: Both teams failed to advance to the finals of the UEFA Champions League. FC Barcelona lost to Chelsea, 2-3 on aggregate, and Real Madrid lost to Bayern Munich, 3-3 on aggregate (1-3 pen). Explanation: First and foremost, congratulations to both winners. Chelsea took advantage of every counter attack opportunity they had, which culminated in Fernando Torres's clinching goal. And Bayern Munich quickly saw their lead vanish after two quick goals by Cristiano Ronaldo, but they showed great resiliency to notch a score of their own and eventually pulled it out. The finals will be held on May 19th in Germany. Bayern Munich hopes to become the first club to win the European Cup at their home stadium in nearly 50 years. You are widely regarded as the best soccer team ever assembled. The game was held at your home stadium in Barcelona. You had a 46 to 12 shots advantage over the two legs. Lionel Messi, arguably the best player ever, is on your team and is coming off an another historic season. You played the majority of the match with a man advantage. You had a Chelsea team without their defensive anchor, John Terry. You had a penalty kick early in the second half to take control of the game which you failed to capitalize on. You held possession of the ball for nearly 80% of the time. But you still lost. Your match against Bayern was also held on your home field. You jumped out to a quick 2-0 lead, not only wiping out the aggregate advantage Bayern had but it put you in the driver's seat. Advancing to the finals was truly in your own hands. You gave up a goal and before you knew it, two overtimes had gone and passed. In the penalty shootout, you managed one successful goal. Really? One? Kaka's attempt was blocked. Ronaldo's attempt was blocked. 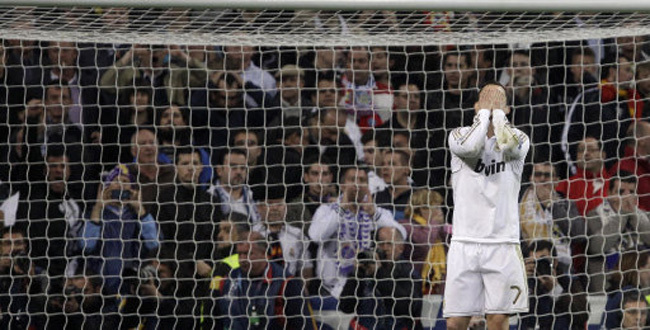 Ramos's shot didn't even challenge the keeper. You had your shots, literally and figuratively, but once again could not win the big game. Punishment: For FC Barcelona, they are going to finish second in La Liga and watch the Champions League Finals from their couches. That is punishment enough. 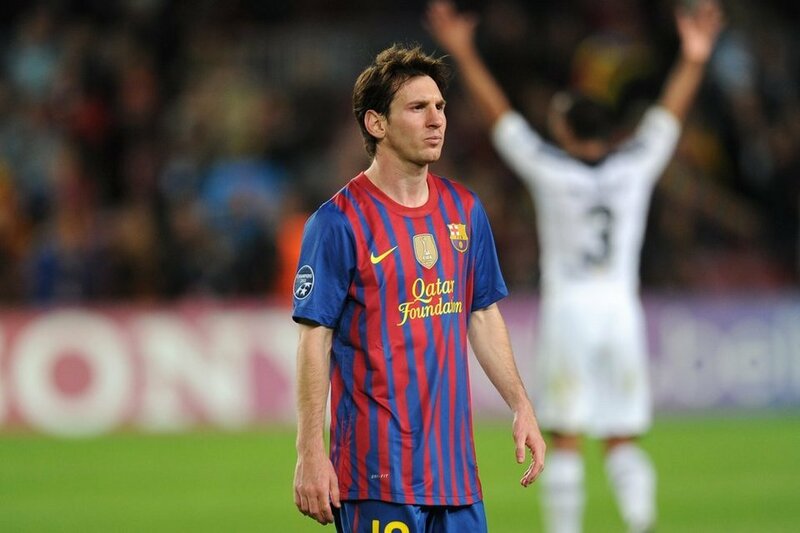 Especially for Lionel Messi, who I have never seen look that defeated in all my years of watching and admiring him. For Real Madrid, after witnessing Barcelona's collapse the day before, the Cup instantly became their's to lose. But for some reason, this team can't seem to win the big match. What a choke job by both teams. To the people who don't watch soccer, the FC Barcelona v. Chelsea semi-final match set a new record for most tweets per second for a sporting event.